Consumers looking for the best expression of Champagne should buy the fizz in large formats, especially magnums, according to Veuve Clicquot senior winemaker Cyril Brun. 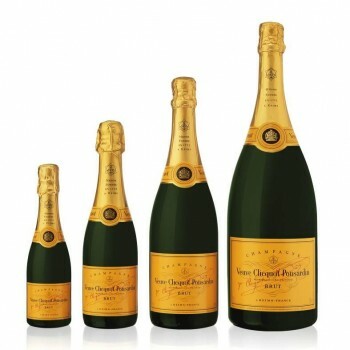 “People expecting a bit more from a bottle of Champagne should upgrade to a magnum,” he commented, during a tasting of Veuve Clicquot Yellow Label in London yesterday. To illustrate his belief, Brun showed a series of Yellow Label brut non-vintage blends with different base harvests in standard 75cl bottles, alongside the same Champagnes aged in magnums. Having proved that the larger format produced a finer and more youthful-tasting Champagne, he pointed out that the 1.5 litre bottle slowed down ageing because it holds twice the amount of wine as a standard bottle, but has the same neck size – ensuring an equal amount of oxygen is exposed to a much greater volume of liquid.